We have named our self-catering unit Laingbrae Cottage, as it is a conversion of the original outhouses, forming part of Laingbrae, which dates from 1862. However, the accommodation resembles a cottage in name only. Once inside, the modern fittings and furnishings, that include a spacious kitchen/dining area withdining table and 4 chairs,plus a wall-mounted television, give rise to feelings more akin to the comforts of a modern, town apartment. With two generous double bedrooms, (one convertible to a twin bedroom),two comfortably sized shower-rooms, you will experience a fully relaxing time in your surroundings. 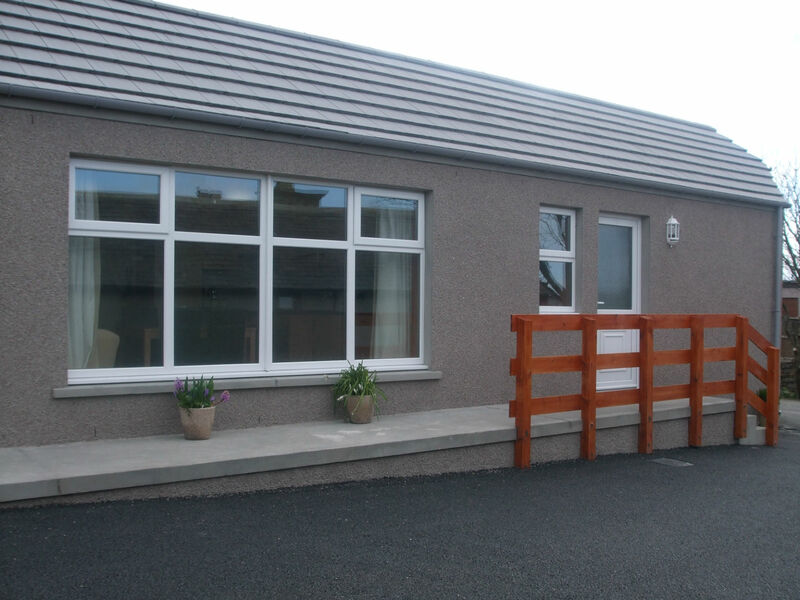 The accommodation has been planned and built to the highest modern standards, and is fully insulated. Hot water supply for the cottage is provided by means of Solar Power. There is a ramp up to the main door and the internal design allows for wheelchair access. 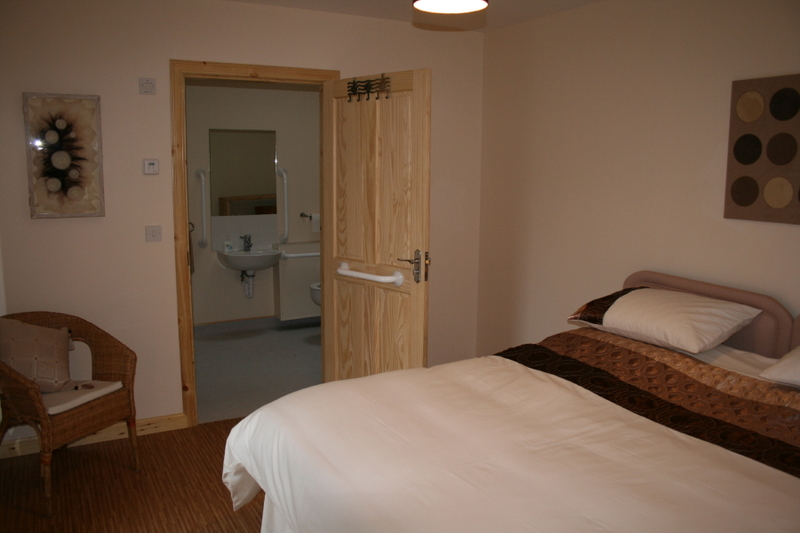 One of the shower-rooms has been designed as a wet-room,with a large walk-in shower, disabled toilet and all necessary handrails. A utility room with separate access, houses a washing machine and tumble drier. It also comprises a drying/drainage area.